If the few books I’ve read this year weren’t enough recs, here are the gothic and horror books I’ve read in previous years. Where it really began, (for me at least). Shelley’s masterpiece was the first book I reviewed here for my gothic series. Read my review here. 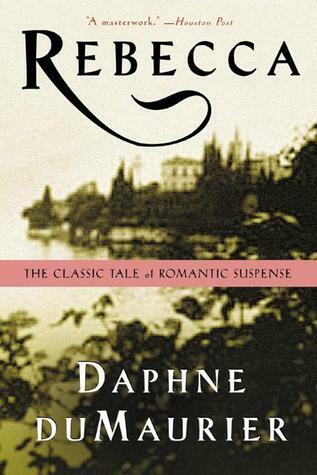 Du Maurier used tight, concise language to weave her masterful tale of gothic suspense. Read my review here. “I am all in a sea of wonders. I doubt. I fear. I think strange things…” The book that launched a thousand copycats (sort of). Read my review here. Not so much gothic or suspenseful, Hanel’s memoir is about her fascination with cemeteries that began with her gravedigger father. Read my review here. Jackson is known for the creepy atmosphere of her books. This is a definite winner. Read my review here. 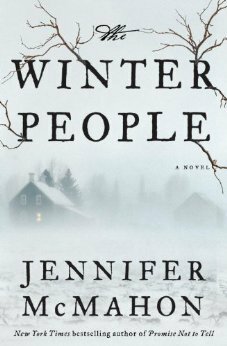 Creepy and imaginative, McMahon’s The Winter People is the perfect Halloween read. Read my review here. A 400 pager, but there isn’t a single unnecessary word here. So good. Read my review here. Again, Jackson’s reputation proceeds her, and this is a great Halloween read. Read my review here. 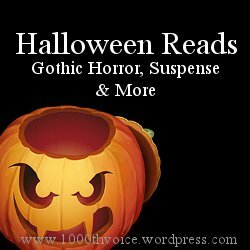 What’s your favorite Halloween read? After completing my Weekly Reads post on Monday, I quickly got to work finishing Rebecca. It was over much quicker than expected. It was a bittersweet moment when I realized the last 30 or so pages were the Author’s Note. Of course, I excitedly read the Author’s Note, and, while I appreciated the ending of Rebecca, it was just over a quicker than planned. As I reflected on the book today, I also started the short We Have Always Lived in the Castle by Shirley Jackson. It made me think about the length of a story and its depth. I’m not far enough into Castle to know if it’s too short or not deep enough, but I’ve definitely read books that were too short and some that were too long with writing that should have been cut to tell a better story. I don’t believe a single word should be cut from Rebecca. At almost 400 pages, I believe there’s still an economy of words that tells a thoroughly intriguing story. Without the extra bits, the story wouldn’t have the suspense or the creepiness it has. With all that said, it probably goes without saying that I loved this book. But let me tell you more about my love. I was riveted; I wanted nothing more than to have a few spare minutes to read this book. A 12-hour round trip to my parent’s house this weekend provided plenty of time to read. One aspect of the book that kept my attention was the general iciness that lent a creepy air. I could just picture Mrs. Danvers’ and Mrs. de Winter’s confrontations with a sharp chill between the two. As I said above, there wasn’t a word wasted in creating an icy atmosphere that also really fit the period. A character that grows, changes or shows his/her faults is a realistic character. du Maurier excellently developed her characters throughout the story. Starting at the end, the main portion of the book is a flashback to a matter of months in the narrator’s life. I always think that using this format is in and of itself interesting. The story also builds to a climax that’s relatively unexpected. du Maurier proves herself to be an excellent storyteller with this book. The story itself is intriguing, but it’s also told in a fascinating way. Have you read Rebecca? What were your thoughts? It’s October! I’m very excited about the many great things this month has to offer: my 5th wedding anniversary, my birthday, Halloween, Practical Magic on TV, the Twin Cities Book Festival and my gothic horror/suspense/general creepy reads! 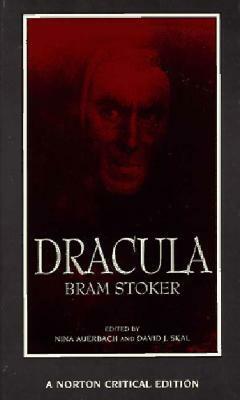 As you know, I’m already reading Dracula by Bram Stoker. Up next will be Rebecca by Daphne du Maurier and We Have Always Lived in the Castle by Shirley Jackson. I have some fun Dracula- and literature-related Halloween posts planned. I hope you join me! Do you enjoy extremely terrifying books or movies? What’s your favorite gothic horror, suspense or just plain creepy read? Check out my review of Frankenstein by Mary Shelley, Frankenstein costume ideas and some scary books to read from last year. Well, well, well. Another week and another the same book! Oh, well. I have been enjoying it, so I might as well enjoy it longer. I don’t think I’ll have to adjust my October horror/suspense/general creepiness reading plans, though. What are you reading this week? Something suspenseful or something creepy? I’m reading this for a public book club in a couple weeks. With the new season starting for this program, I decided to push myself to join as much as possible. 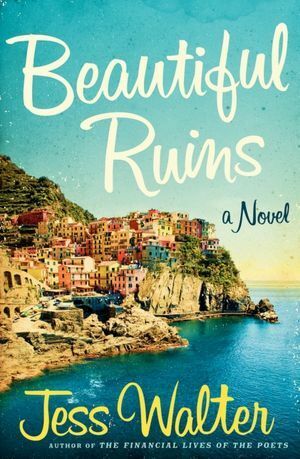 This book sounded pretty good, but it’s even better than that. I can’t wait to hear what others have to say! What are you reading this week? Are you a member of a book club? Do you have an interesting theme or concept or a certain book genre? Have I mentioned before that I’m a slow reader? It’s definitely true with classics. The speech and writing patterns take me a bit longer than contemporary fiction to understand. But that doesn’t mean I don’t enjoy it. I absolutely enjoy reading classics and gaining a deeper understanding of the lives and thoughts of the time. That’s especially true with Dracula by Bram Stoker. In our current vampire-obsessed culture, it’s been great going back and reading the early years of vampire literature as we know it in its modern form. On a more exciting note than the fact that I’m still reading the same book, I hit up my local Friends of the Library book sale this weekend. And I’m pretty sure I scored big. 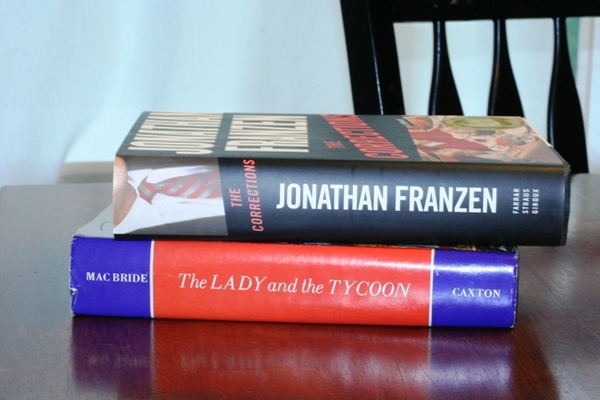 On top is The Corrections by Jonathan Franzen. Yes, you read that right. After Franzen revealed himself to be more of prick than people thought, I went out and bought his book. But the money went to a good cause (i.e. not Franzen’s pocket). But I left the best for last here. The Lady and the Tycoon, a collection of the letters between Rose Wilder Lane and Jasper Crane. I am so excited to start digging through this! 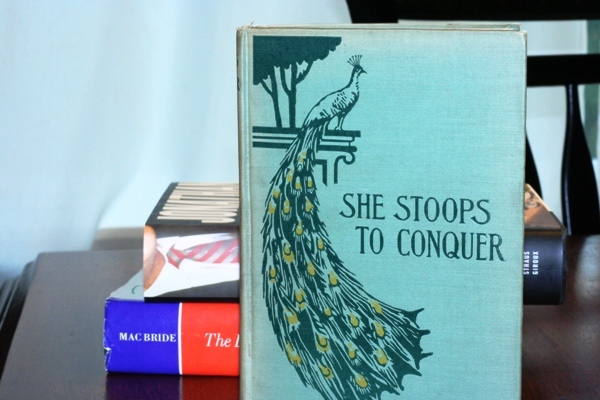 She Stoops to Conquer is a play by Oliver Goldsmith. The real winner here is that amazing cover. 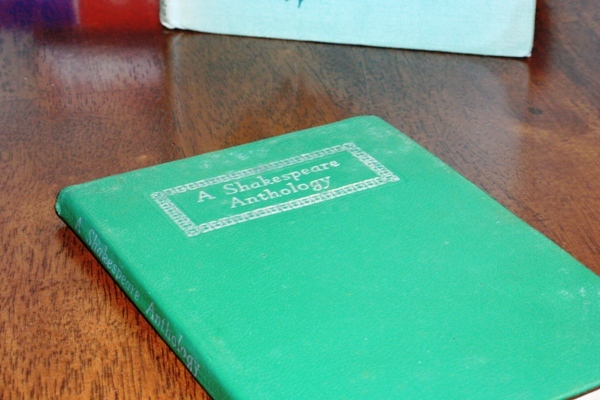 Finally, A Shakespeare Anthology is a nice little collection of pieces from Shakespeare’s many works. I’m pretty sure I had a good day at the book sale, except that one of these cost $20 (and it wasn’t the Franzen). What are you reading this week? What’s the best book you’ve ever scored at a garage sale, thrift store, Friends of the Library sale or really any other discount place?